The official event agenda and practical information available here. Registration online (only for Bari and Venezia-Mestre) available here. Evaluation and Feedback Questionnaire (Bari and Venezia-Mestre) available here. 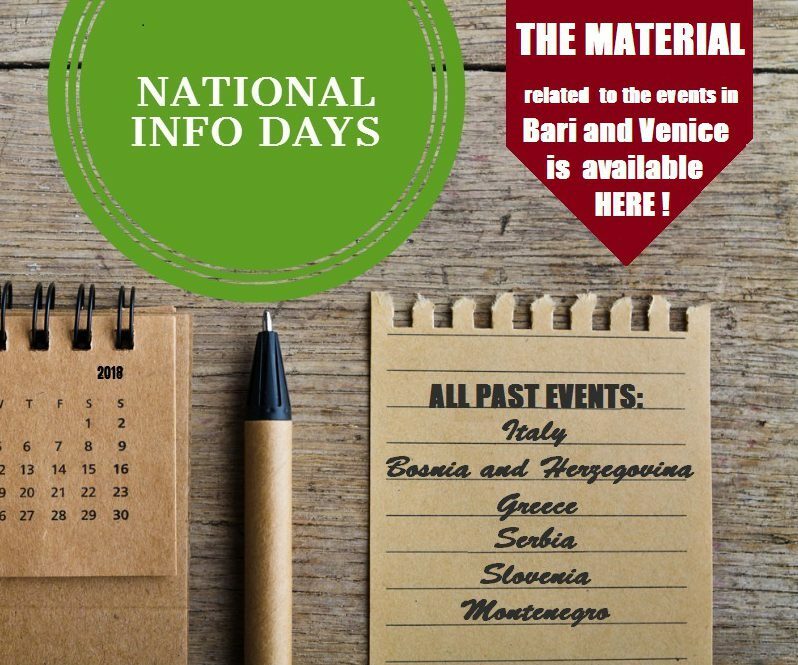 The material from Bari and Venezia event is now available here. 18th May 2018 – Ancona – The conference Sustainable Fisheries and Aquaculture: Key drivers for Blue Growth in the Adriatic and Ionian Regions aimed to share the strategic objectives of two relevant European territorial cooperation projects ARIEL and DORY. The official event agenda available here. More details about the event including agenda available here. The English version of the official announcement available here. Draft agenda and practical information available here. Workshop on reporting and project implementation will be offered by Slovenian First Level Controllers and take place on 17 April 2018. 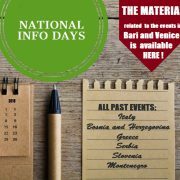 Information available here.